Packed with useful information and fun to read. 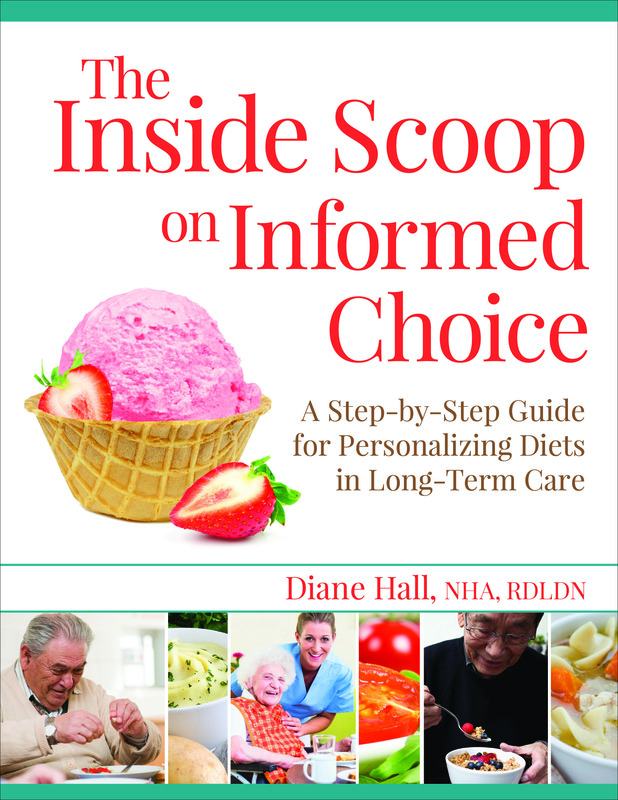 The Inside Scoop on Informed Choice: A Step-by-Step Guide to Liberalizing Diets focuses on how to discuss and document a resident’s decisions when it comes to what, when, and where they want to eat. Using our proprietary documentation tool for self-directed dining care plans, care providers can ensure that the care plans they write will satisfy the regulations for informed choice while protecting themselves from possible litigation and citations. Create self-directed care plans, step-by-step, using the forms in this guidebook. Define and apply the New Dining Standards in current food service operations. Describe the 5 elements of a QAPI framework as they relate to dining practices. List the clinical benefits and alternatives to commercial supplements. The Inside Scoop on Informed Choice gives continuing care communities the latest evidence-based information and carefully considered forms to document and create individualized care plans that improve the lives of the people in their care — as well as safeguard the community from legal action and citations stemming from a resident’s right to refuse treatment. Food safety is the big issue for 2019 and the new training requirements in the Florida Administrative Code (F.A.C. 58A-50191 and 64E11-012) reflect that. Benjamin Franklin once said, “If you fail to plan, you are planning to fail.” Truer words have never been spoken when it comes to dealing with an emergency at your long-term care community. Having a plan in place to keep food services running in the event of an emergency is not only sound advice, it is essential to keeping your community well-fed and hydrated. 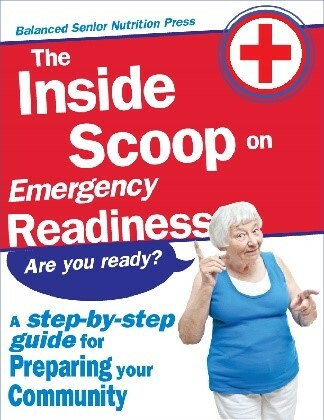 This eBook provides 1 CEU and will make your life easier in the event of an emergency. It’s chocked full of tools you can use right away to ensure your readiness and the safety of your residents. It includes an Emergency Food Supply spreadsheet that you can easily use to plan and track food, water and service supplies. Review the nutrition and hydration needs of the older adult. Explain the general nutrition requirements and dietary guidelines according to the Florida Administrative Code Dietary Standards 58A-5 and Florida Food Hygiene Rule 64E-12. Identify what makes up an acceptable state-regulated ALF menu and show how to implement menu substitutions. Outline the major causes of foodborne illness. Recognize examples of cross contamination in a food service system and demonstrate what can be done to prevent them. Demonstrate effective methods of hand washing. Maintain the safe handling of food throughout the process of delivery, storage and service. Don’t wait until you’re dealing with citations, up your game right now and make your residents dining experience as safe as possible. During holidays and special events, you may need a refresher course on safe holiday cooking. 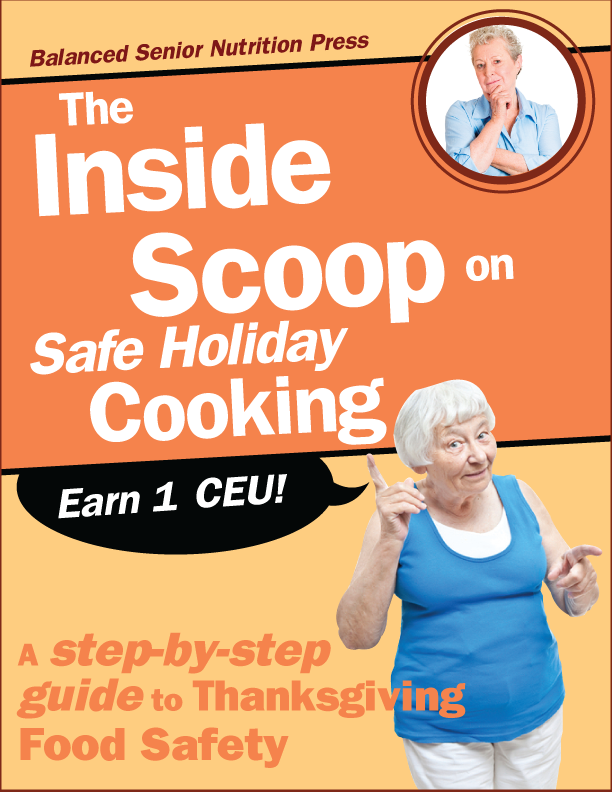 The Inside Scoop on Safe Holiday Cooking, is geared toward the four cores of safe food handling, tailored specifically for holiday cooking, and meets required training by Florida Statute 58A-5.0191(6). Can your community use sponges and washcloths? The answer may surprise you. 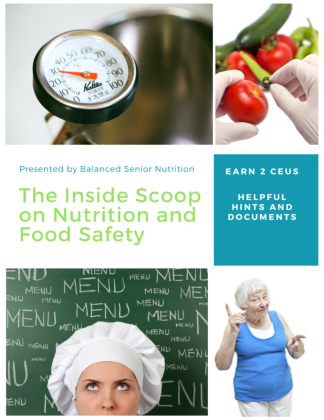 We know you’re busy during holidays and special events, but isn’t it worth an hour of your time to take this refresher course on food safety and earn 1 CEU? The people you serve will find it time well spent.